Can scan objects all the way up to a 250metres in one pass. 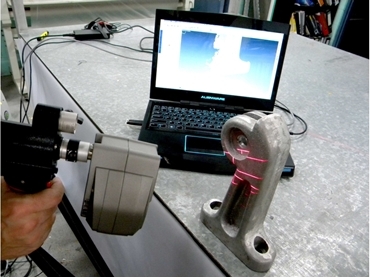 3d Scanning Australia is a company specialising in 3D Scanning, Reverse Engineering and Inspection. We can scan any size object from a few millimeters to entire buildings and roads. Terry Tisdale of 3D Scanning Australia said, “We have invested $350,000 into 3D scanning equipment”. He continues, “The equipment is able to scan objects in varying sizes all the way up to a 250 metres in one pass. The technology is widely used to in building construction for scanning dimensions to add or check complex architectural features like stair cases. "This technology will revolutionise the industry to a high level of advanced construction technique and quality. “Having a complete 3D model of what you need to design around, instead of limited two dimensional measurements is a great advantage and helps to minimise time and material wastage and eliminate expensive mistakes”.